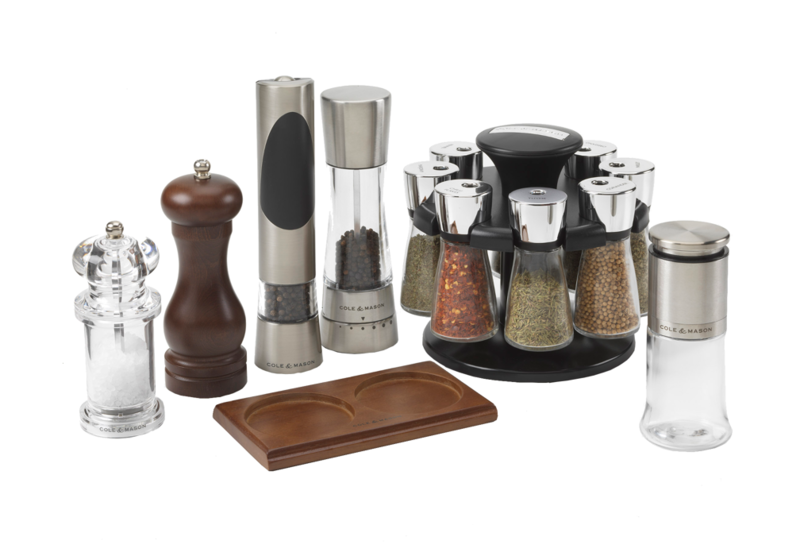 An English company founded in 1919 by Julian Cowen, Cole&Mason produced the first acrylic pepper mill in 1975. 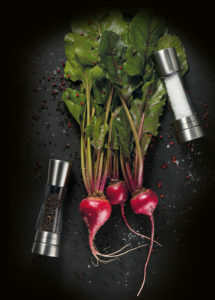 Since the 1990s the company has been the global market leader in salt and pepper mills. Cole&Mason products are technically and aesthetically well designed, which makes all the difference when cooking. The contemporary, elegant, timeless design features a combination of steel and acrylic, creating a very unique look, while the high-performance, durable mechanism perfectly grinds the salt and pepper, revealing its full flavour. The required degree of grinding can be selected on each Cole&Mason mill, using the Gourmet and Gourmet Precision mechanisms, which come with a lifetime guarantee. Our passion for cooking and flavours doesn’t stop there. Seasoning a dish means adding salt and pepper, but also adding herbs and spices to enhance the flavour. Cole&Mason has therefore expanded its product range to include spice mills and carousels, oil and vinegar accessories and fresh herb storage keepers. Our ambition is to help all lovers of good food enjoy the best possible cooking experience, by supplying quality equipment and providing tips on how to use seasoning to bring out all the flavours of your food.